Desperate for a convertible this summer? You don’t need to spend a fortune to enjoy the sun. From two-seater roadsters to hatchbacks without a roof, we've listed the cheapest soft-tops on the market today - with prices starting at less than £13,000. You could argue that the 108 Top isn't a true cabriolet, but the folding fabric roof is certainly one step better than a sunroof on sunny days. 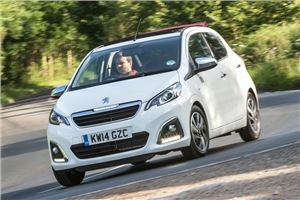 Starting at £12,644, the 108 Top is a soft-top bargain, and Peugeot regularly offers some tempting finance deals. The Citroen C1 is closely related to (read: basically the same as) the Peugeot 108 and, like the Peugeot, it’s available with a folding fabric roof. 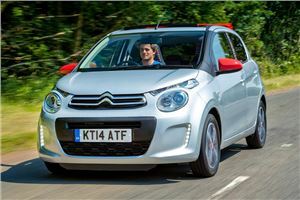 Both the Citroen and Peugeot are likeable city cars, with the retractable roof not hindering practicality at all. You’d think that one of the cheapest new convertibles that money can buy is something that’d require a paper bag over the head. 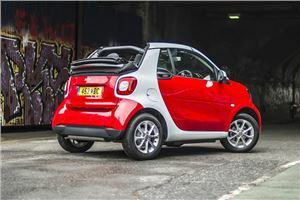 Gone are the days of the Micra CC, though and £14,255 buys you a Smart ForTwo cabriolet in Prime trim. Quirky and characterful, the Smart Fortwo cabriolet is the perfect car for tackling city streets this summer. Like the Smart, the Fiat 500C is a stylish choice of cabriolet and - unlike the Smart - you’ll actually be able to fit your friends in the Fiat. That’s as long as they’re not massive, obviously. 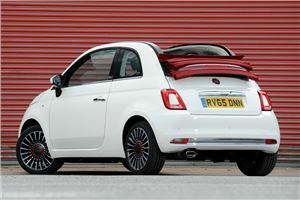 £14,665 gets you a Pop model with a 1.2-litre petrol engine. There aren't many new car bargains these days but, with prices starting at less than £20,000, we reckon the Mazda MX-5 is one of them. It's a brilliant car to drive, and arguably even better in base-spec form with the 1.5-litre petrol engine. Admittedly it's not a practical choice, but there's a reason the MX-5 is the world's best-selling roadster. 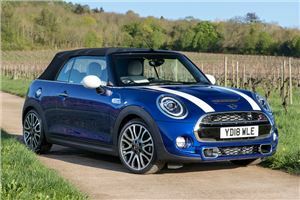 Proving you can buy a stylish convertible on a budget, the MINI Convertible starts at a smidgen over £20,000. For that, you get a Cooper model with the 1.5-litre petrol engine, in Classic trim. You might want to spend a bit more on personalising it, but it's a good start point. 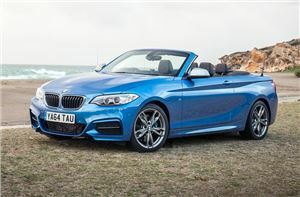 A shortage of cabriolet versions of popular models such as the Volkswagen Golf and Ford Focus means you’ll have to go premium if you want a practical soft-top. The BMW 2 Series looks great, although it might not look quite so flash in entry-level SE trim with the standard 17-inch alloys. OK, we're no longer in bargain basement soft-top territory, but the A3 Cabriolet is a relatively affordable way into a genuinely desirable, premium, drop-top. It's got the same upmarket interior as the hatch, along with a strong engine line-up. For the entry-level price, you get the 1.5-litre TFSI petrol engine with 150PS, in Sport trim. 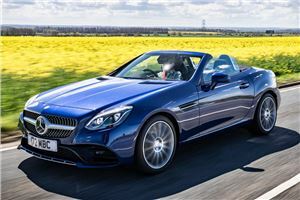 The Mercedes-Benz might be considerably more expensive and not as fun to drive as a Mazda MX-5, but it does look the part. It features an electric folding roof which drops in less than 20 seconds. The budget offering is the SLC 180 with a 1.6-litre petrol engine. 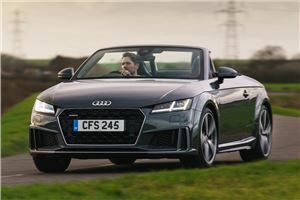 Recently revamped, the Audi TT Roadster features a quality cabin with the brand's excellent Virtual Cockpit standard across the range. It feels more modern than the Mercedes-Benz SLC, and it's more affordable than the new BMW Z4. As the owner of a lovely 2011 MX-5 SE RC in Copper Red, I ask myself who in their right mind would want a DS Cabrio or even a Mini Convertible at greater cost than the Mazda. Before anyone says that it only has two seats, the Mini doesn't have that much rear room - my daughter has a Cooper S and is contemplating a larger car as her two daughters are growing up. As the owner of a lovely 2011 MX-5 SE RC in Copper Red, I ask myself who in their right mind would want a DS Cabrio or even a Mini Convertible at greater cost than the Mazda. Before anyone says that it only has two seats, the Mini doesn't have that much rear room - my daughter has a Cooper S and is contemplating a larger car as her two daughters are growing up. 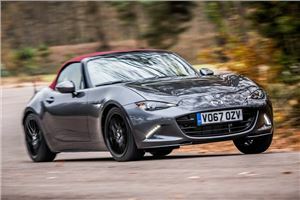 Agree with that as my wife has had one from 2010 and why would you want to buy one of the other toys> She loves her MX5 2.0 Sport more than me but perhaps that would be easy. !